Properties: Acrid bitter fragrant slightly warm, toxic. Actions: Regulates menses. Stops pain. Release the exterior. Stops bleeding. Invigorates blood. Clears heat and poison. Clears postpartum blood stagnation. Insecticidal, antipruritic, expels worms, muscle relaxant, anthelmintic (makes worms unhappy), stomachic, carminative, analgesic, narcotic. Preparation: For parasites use dried leaves, stem, seeds, add sugar and rice power to make pea-sized pills. Take 3 gm., twice daily. 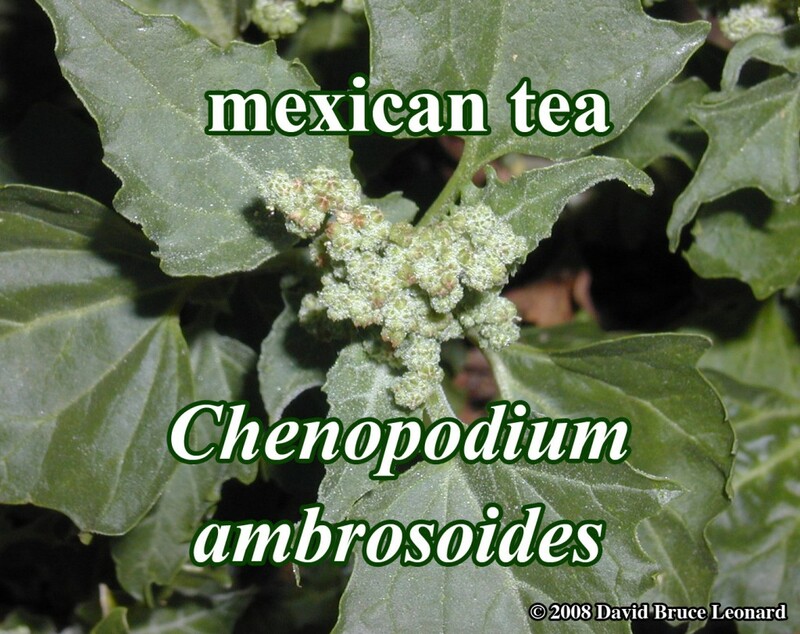 Caution: Chenopodium ambrosioides is poisonous and contraindicated in cases of neurasthenia, heart disease, peptic ulcer, and pregnancy. The use of the oil can lead to nervous system disorders, spasms, paralysis, and can cause death.